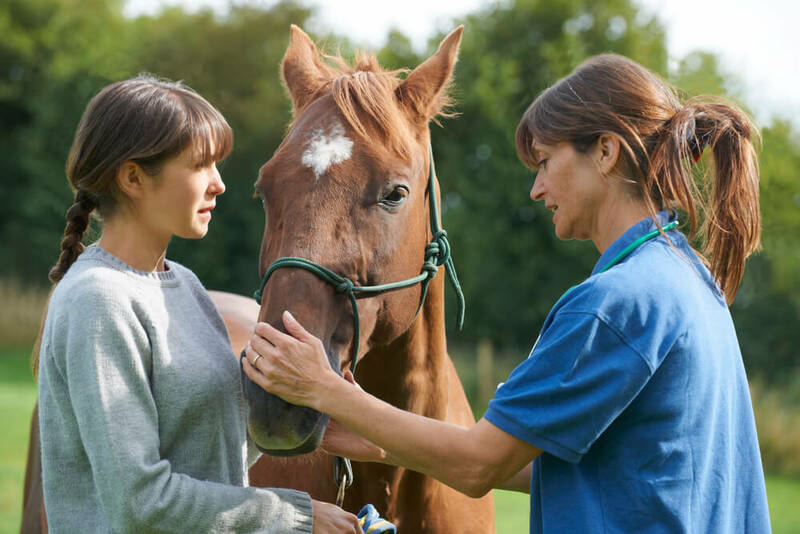 What Are The Signs Of Ill Health In A Horse? 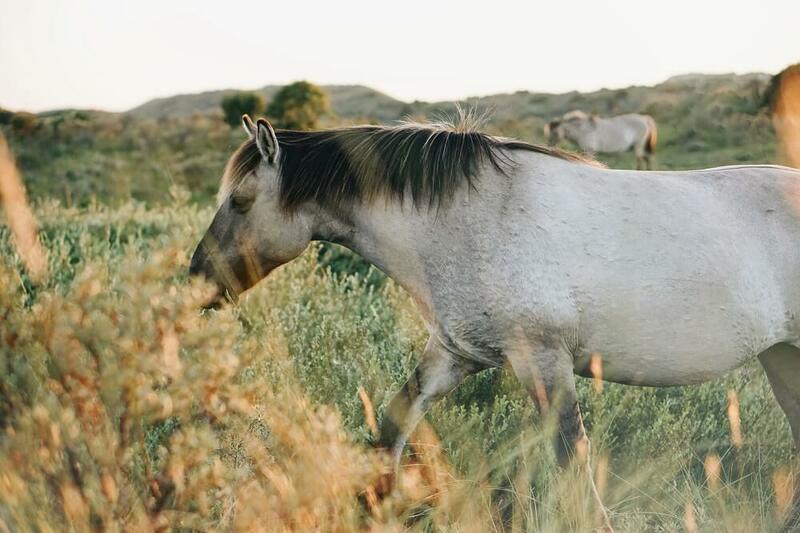 Every horse is an individual, and it’s important to be very familiar with your own horse’s habits and typical way of being so that you will know right away if something is amiss. Even minor changes in behavior or condition can herald illness or an overall decline in horse health. Early detection of illness can make all the difference in success or failure of treatment. 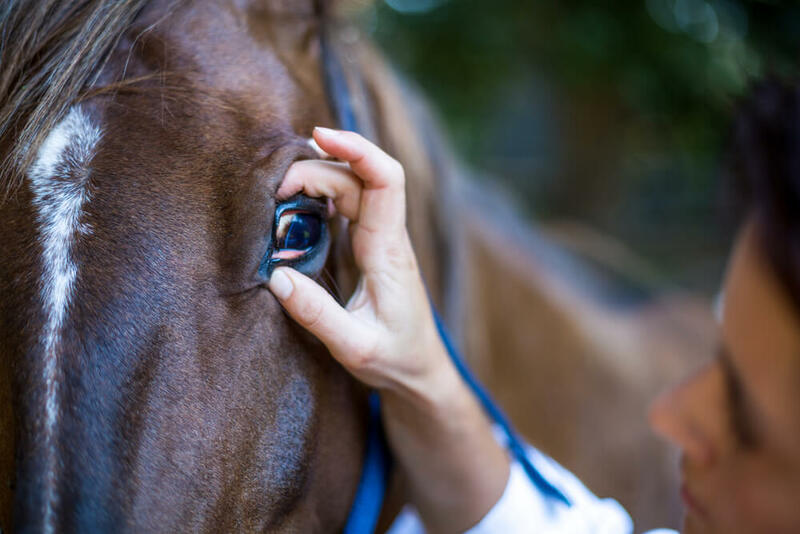 In this article we describe some common signs of ill health in a horse and provide sound advice on responding to these signs. Read on to learn more. Just as with people, a poor appetite may indicate illness. If your horse goes off his feed, it’s a good idea to look him over carefully and take his temperature. In addition to examining your horse for signs of problems, you should also examine his droppings. If they are hard and small, you may suspect impaction. This problem is common among horses who live in a stable and get little or no turnout time. Regular bran mashes or adding soaked beet pulp to the feed help avoid this problem. If your horse seems to be alright but still does not want to eat, there may be something wrong with your feed. Horses’ sense of smell and taste are very finely tuned, and they will often refuse stale feed, even in small amounts mixed with fresh feed. To avoid having your horse reject feed, be sure that all of your feed is fresh and clean your mangers, feed dishes and troughs between feedings. Remember that horses are designed to nibble constantly, so loss of appetite and failure to eat can compound and quickly cause serious problems. If your horse refuses to eat for a full 24 hours, call your vet. It can be hard to keep your horse in good condition. This is especially true for high strung horses who tend to be finicky eaters. If you are having trouble keeping weight on your horse, the first thing you should look at is the amount and quality of the feed you provide. If your horse gets a lot of strenuous exercise, you may be able to resolve your problem by increasing the amount you are feeding or upgrading the quality of feed. Horses who live outdoors in the wintertime need more feed to stay in good condition because keeping warm burns up energy. This is especially true of thoroughbreds who are literally thin-skinned and burn up even more energy than most horses just to stay warm. Worm infestation can also cause weight loss and overall loss of condition. 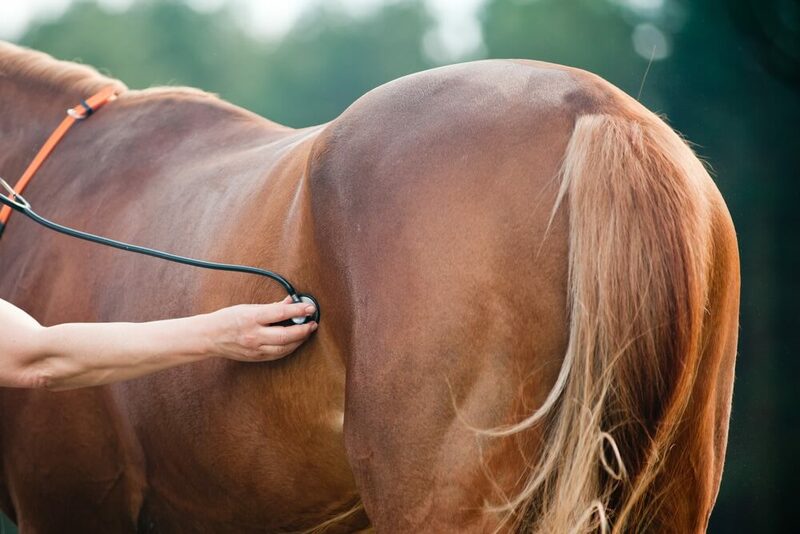 You should worm your horse regularly and have your vet test for worms at every physical exam. If your horse has a digestive disorder, weight loss is sure to be a problem. Chronic damage of the intestinal lining can negatively impact nutrient absorption. Horses suffering from chronic liver damage or chronic diarrhea have difficulty keeping weight on. Horses with dental problems may have trouble grinding food down. Chewing is the first step to good digestion, and poorly chewed food does not break down properly in the intestinal tract. This leads to poor absorption of nutrients. If your horse tries to eat but drops food from his mouth, chokes or otherwise cannot swallow it properly, have your vet check his mouth and teeth. If your horse seems to be losing weight and does not seem to have any specific malady, try increasing the amount of hay you are feeding. Increasing grain is also a possibility, but you must be careful not to feed too much grain as this can cause blood sugar spikes and problems with laminitis. An improvement in the quality of feed you provide may take care of any weight loss problems. Adding supplements, such as flax seed oil can also add calories and nutritive value. To prevent problems with worm infestation, switch the type of wormer you use from one time to the next. Don’t just get a different brand with the same ingredients. Look for brands with different ingredients because worms may develop resistance to some ingredients. Alternating treatments can help prevent this problem. A horse’s winter coat is naturally dull, but for the rest of the year, your horse’s coat should be slick and glossy. If your horse has a dull or long coat at other times of year, it is an indication of a problem. If your horse has a fever, his coat will become dull very quickly. Poor nutrition can also cause a dull coat. In this instance, improving feed quality and/or supplementing with vitamins and minerals may solve the problem. In some instances, dull coat indicates severe worm infestation. In others, it may indicate chronic kidney or liver damage or a metabolic disorder, such as Cushing’s syndrome. Excessive washing can also dull your horse’s coat. When you wash your horse with shampoo or soap, it removes the oil from the skin and coat. Just as with humans, stripping away natural oils leads to dull, dry hair. It can also lead to dry, itchy, flaking skin. It is best to keep your horse clean with regular currying and brushing. Avoid bathing unless it is absolutely necessary. Taking good care of your horse requires keen awareness on your part. Observe your horse carefully and check him over every day. Developing a habit of daily grooming gives you the perfect opportunity to examine carefully and watch for any changes in behavior. If you notice even the smallest change in appetite, attitude or condition, be vigilant and make changes as needed to address small problems before they balloon into large ones.